Amazing Rooftop Views! 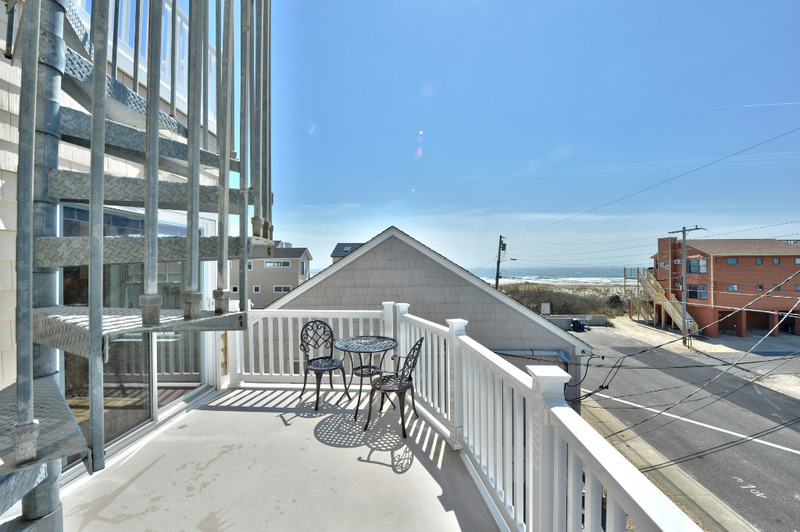 Steps to the Beach - Heated Pool & Elevator! Heated Pool, Amazing Rooftop Views! Steps to the Beach - Elevator too! Who says you can’t have it all? 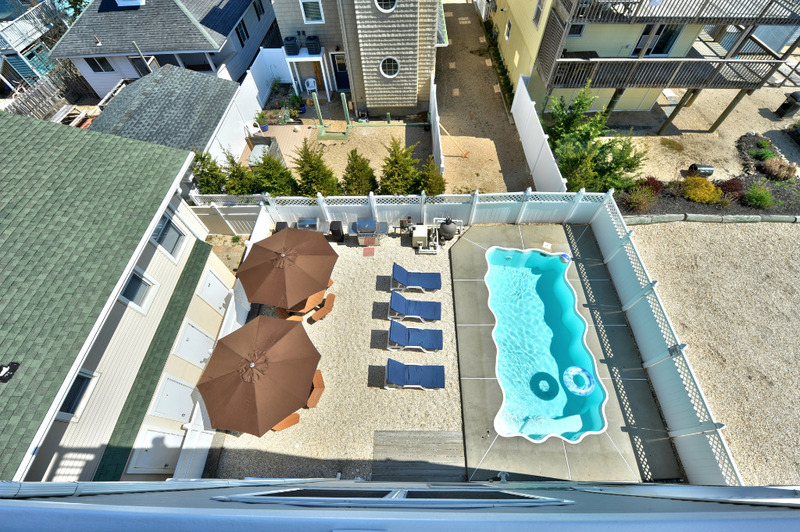 Ocean block (only 2 to the beach), in-ground HEATED pool, elevator, modern living! NO PROMS, GRADUATION, OR UNDER 25 GROUPS - PLEASE DON'T INQUIRE. FRONT AND BACK DUPLEX – This listing is for the front unit (A) of a reverse living, contemporary style duplex. It looks as good in person as it does in these pictures! Available weekly with a Saturday changeover. Price includes a changeover cleaning. We are the third house from the beach, with Ocean & Beach Views, and consists of three stories. The ground floor has inside parking for one car as well as a dedicated stackable washer and dryer. Two additional cars can be parked outside, in front of the garage. 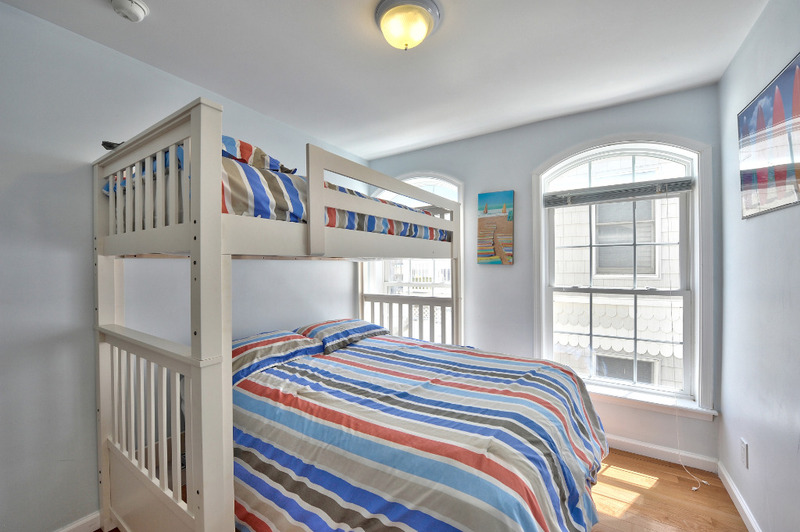 Up to the second floor where you will find three bedrooms and two baths with beds to sleep 7 people comfortably. The master bedroom has a gas fireplace and its own bathroom with an extra-large shower that has two shower heads and an extra-large vanity/mirror with two sinks. ALL of the bedrooms contain high end Sealy Posturepedic mattresses with plenty of pillows for a restful sleep after a long day on the beach. 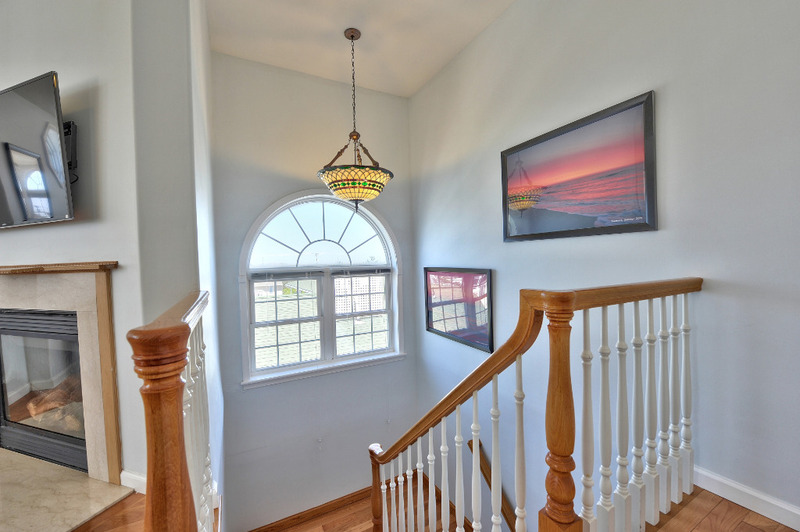 Up the stairs to the third floor where you enter the living room with a gas fireplace and 50” Samsung SMART LED HD TV. Past the living room is the dining area with lots of windows and ocean views. The Kitchen is a modern kitchen with wood cabinets and granite counter tops with stainless steel appliances including refrigerator, range, dishwasher and microwave. It is well stocked with all you the equipment and utensils you need to cook and dine in. Want to take in the fresh air? Two sliding glass doors open up to a balcony with more ocean and beach views. Still want more views? Head up the spiral staircase to the Roof-Top and Sun decks and take in breathtaking panoramic views of the ocean, beach and island. YOU CAN NOT FIND A BETTER RENTAL VALUE IN SHIP BOTTOM! 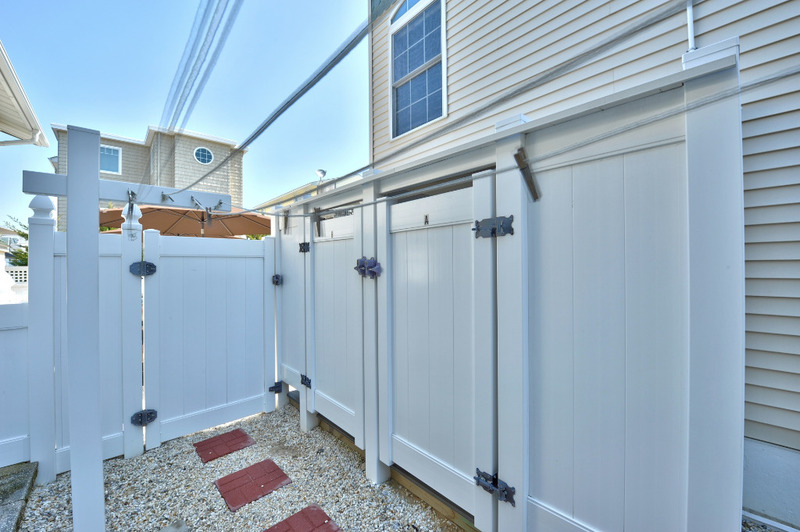 You can also enjoy the spacious fenced in backyard with BBQ area and heated in ground pool! This shared space (with the back unit in this duplex) features a 4ft deep in-ground heated (to 85 degrees) pool with steps and a sitting wall. Two Weber gas grills and dining tables gives plenty of cooking/eating space for everyone to enjoy! To rinse off the salt and the sand from the beach, there are two outdoor showers, one in the back yard near the pool and one on the east side, both shared. 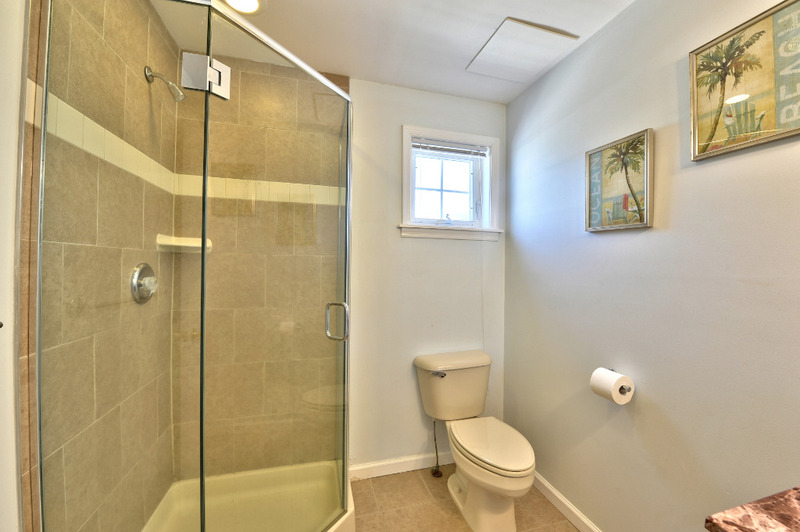 In addition, we have two dedicated (one for each unit) enclosed outside showers on the west side of the house! That's 4 outside showers! Need an elevator? This unit has that too and its available on request for an additional $200/week charge. ENTERTAINMENT/TECHNOLOGY - For inside entertainment, this unit features Samsung SMART WiFi connected LED TV’s located in the living room and master bedroom. Logon to your favorite streaming entertainment providers including Netflix, Hulu, Pandora and more or cast video from your mobile devices to these smart TV’s. Not that tech savy? Don’t worry, we have xfinity cable TV by Comcast as well as high speed wireless internet so you can stay connected. DESTINATION WEDDING? – This would make a great place for your guests to stay! Bonnet Island Estate, Mallard Island Yacht Club, and the Stateroom are just minutes away. 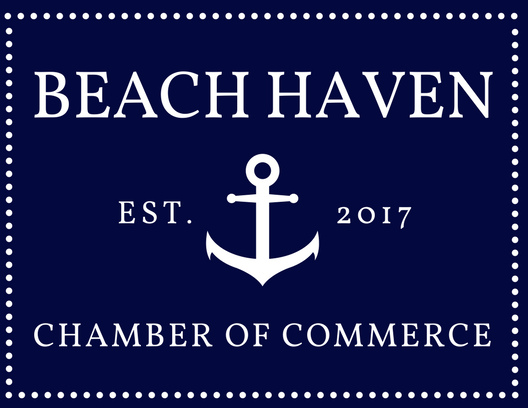 We are also convenient for events at other Banquet Halls including Sea Shell Resort, Daddy O, The Boat House, Yacht Clubs, and more. We open the pool each year in April and have it heated and ready to use by May 1. It is serviced weekly and we maintain it at 85 degrees from May 1 through the beginning of October (through Chowderfest weekend). So come stay with us in May and September and enjoy great savings off in-season rates! Are you vacationing with another family and need sleeping for up to 14 people? If so, consider renting both front and back units in the duplex. Our back unit also sleeps 7 and is comparably equipped. For a description of the front unit, please see listing www.vacationrentalslbi.com/listing.1. Have additional questions? Email or text them to me and if I don’t answer right away, I will try to respond within 24 hours. LOCATION, LOCATION, LOCATION! 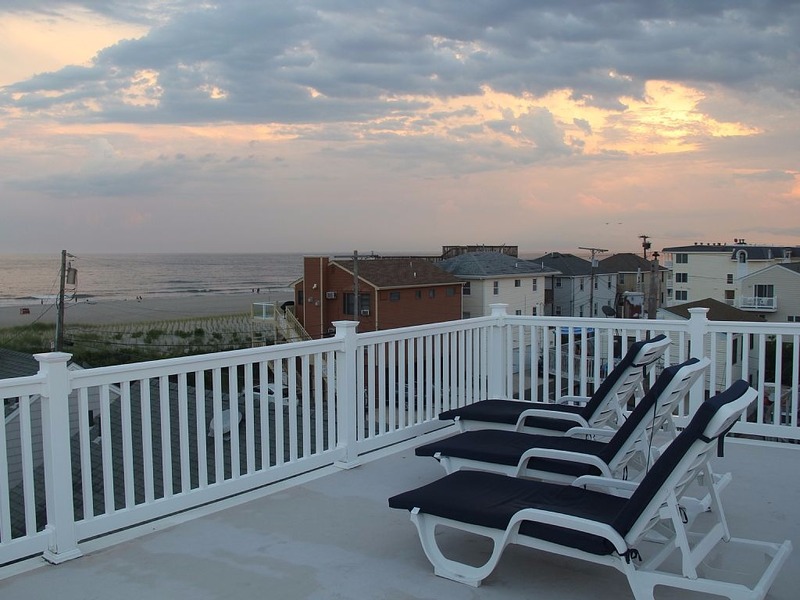 – If you are going to vacation “down the shore” you have to stay near the beach! This house is JUST 43 STEPS from driveway to beach walkway. Stay Ocean block and walk to the beach without crossing any roads. 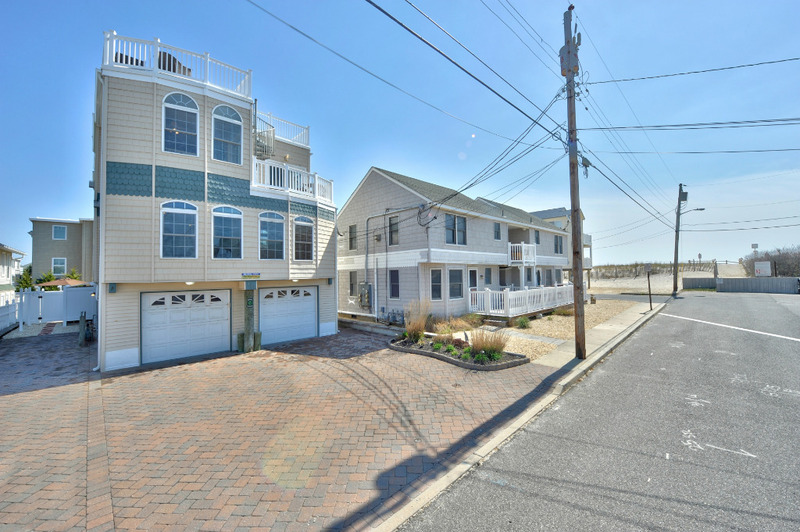 In addition to being close to the beach, this house is close to the causeway so you don’t have to wait in “Island Traffic” when you want to come or go from LBI. Major chain store shopping, including Shop Right, Wal Mart, BJ’s, Costco, Kohls, and MANY others are just 10 minutes away (on mainland). Want to stay local? No problem! 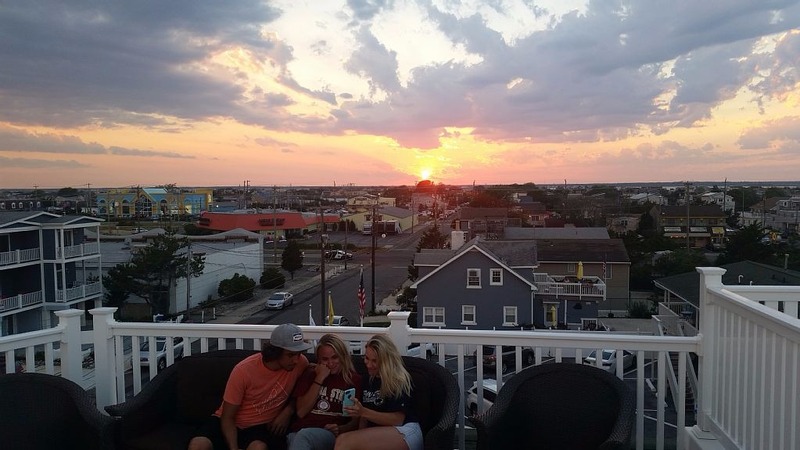 Within 3 blocks you have a CVS, 7 Eleven, Wawa, Seafood Market, Surf Shop, Arcade, Mini Golf, Ice Cream Pallor, Bike Rental, Shops and Restaurants including a Pancake House and the “Best Burgers” on LBI! Want to explore other parts of the Island? 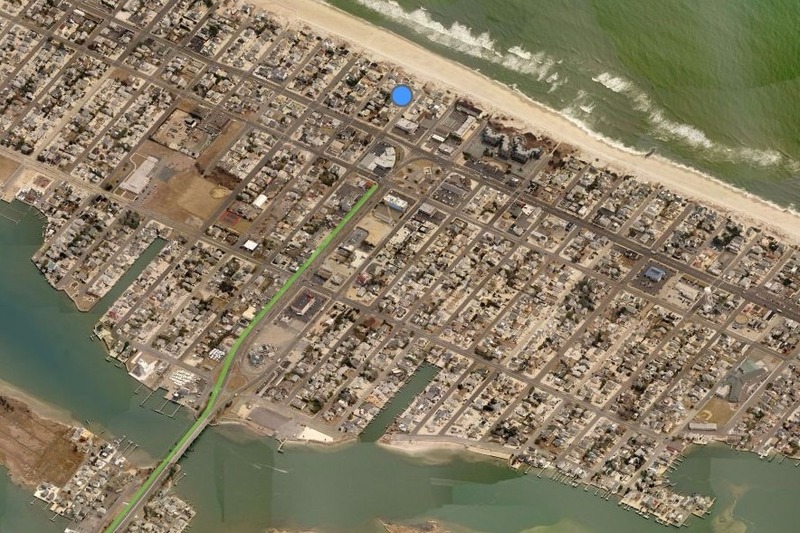 Barnegat light is just a 15 minute drive to the North and Beach Haven is just a 15 minute drive to the South. Don’t want to drive, take the FREE LBI Shuttle just a block away! Townhouse , 1,100 sq. f.
05/25/2019 - 05/31/2019 Memorial Day Week - Pool Open! CANCELLATIONS - Cancellations will be charged 15% of the gross rent if the property is re-rented for the full amount. If property is not re-rented for the full amount, the full rental deposit is forfeited. All cancellations must be in writing. Your reservation will be in effect upon receipt of your deposit and the cancellation policy will apply. No refunds will be given for inclement weather, including hurricanes, or for activities beyond control of OWNER. We recommend all guests purchase trip insurance to cover any possible cancellations. RATES - subject to change until reservation is confirmed. A 50% deposit is due within 7 days of making your reservation. The remaining 50% and security deposit will be due 45 days prior to arrival. NO TAX! 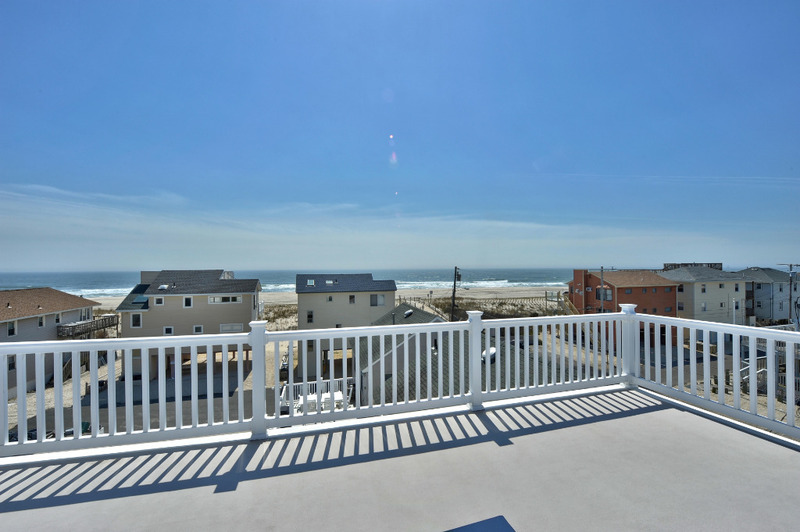 A 5% "Realtor Processing Fee" is added to each booking until the "Shore Tax" is corrected. Please visit www.NJShoreTax.com for updates. My brother hosted Thanksgiving on LBI for our large family. 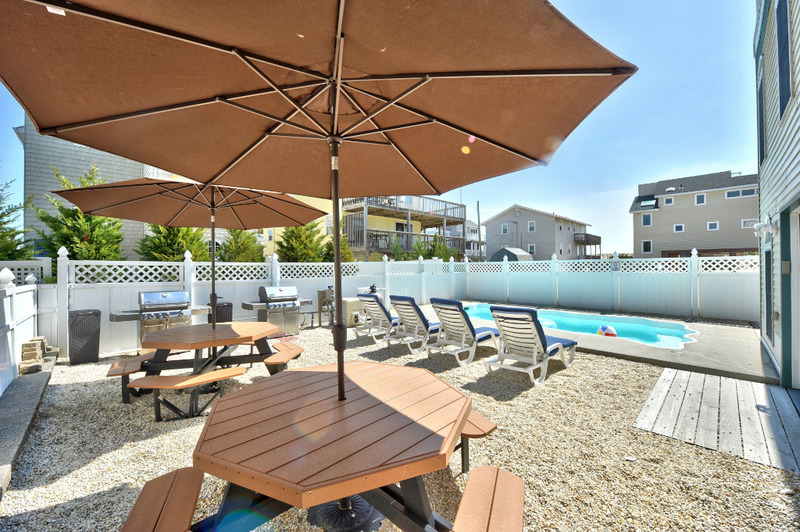 I rented Shamrock by the Sea so that my children, grandchildren and I would be able to stay and enjoy the Thanksgiving weekend festivities. It was the perfect place! Clean, updated and great location. Very convenient for my son-in-law to do some early morning surf fishing. Duane was very attentive and nice to deal with. So glad that I decided to rent for the Thanksgiving weekend and that I rented Shamrock by the Sea. I would recommend this unit to anyone. Thank you Duane for being so accommodating. This was our first time at Shamrock By The Sea and it didn't disappoint! The house is beautiful and only steps from the beach. 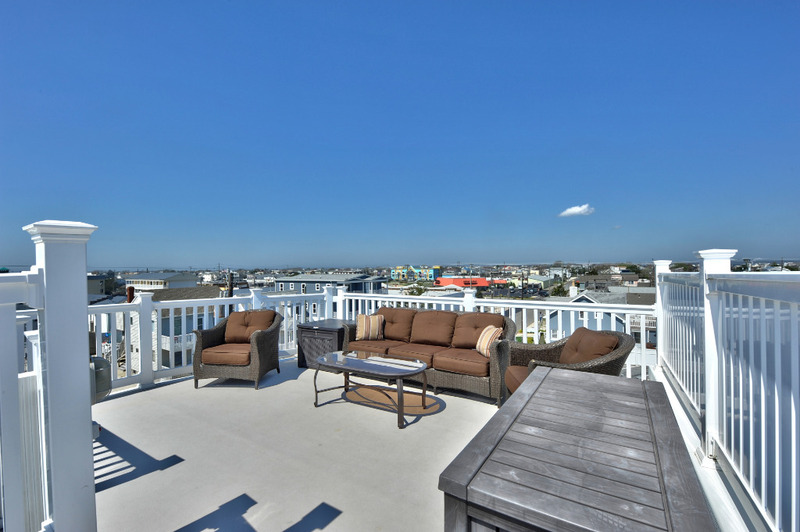 The rooftop deck has amazing views and comfy lounge furniture. Many sunsets and happy hours were enjoyed up there! Some days, we skipped the beach and just hung out on the roof! There is a pool which was SO nice to have especially on those really hot days. The inside of the house was perfect for our group of 5, and everything is updated and comfortable. 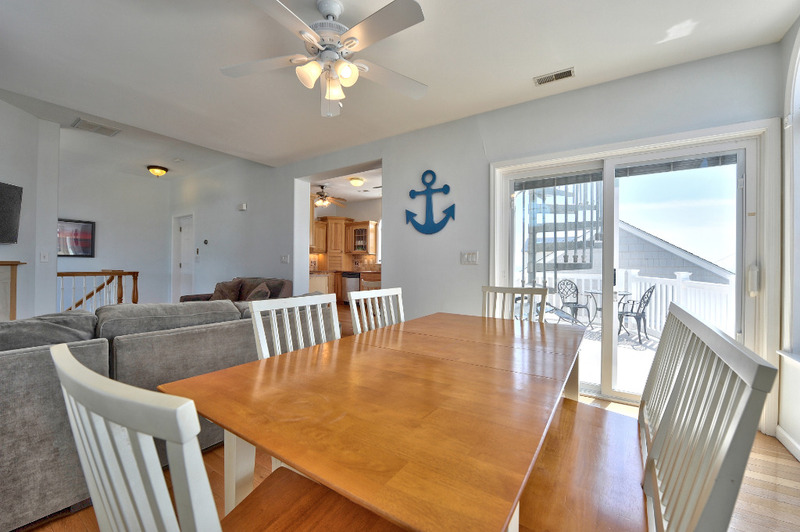 The house is well equipped with anything you could possibly need including beach chairs, umbrellas and bikes. The beds were SUPER comfortable, which, after renting in LBI for over 20 years, is a rare find! The owner Duane is very attentive and SO nice to deal with. Such a great experience overall and I would highly recommend this house! We will definitely stay here again! 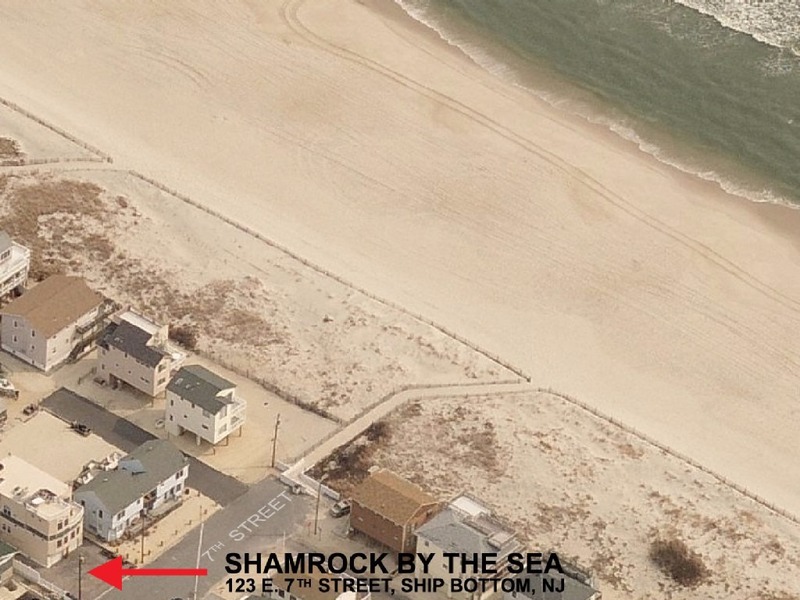 We have been renting annually at Shamrock By The Sea since it came on the market, sometimes twice in a year. 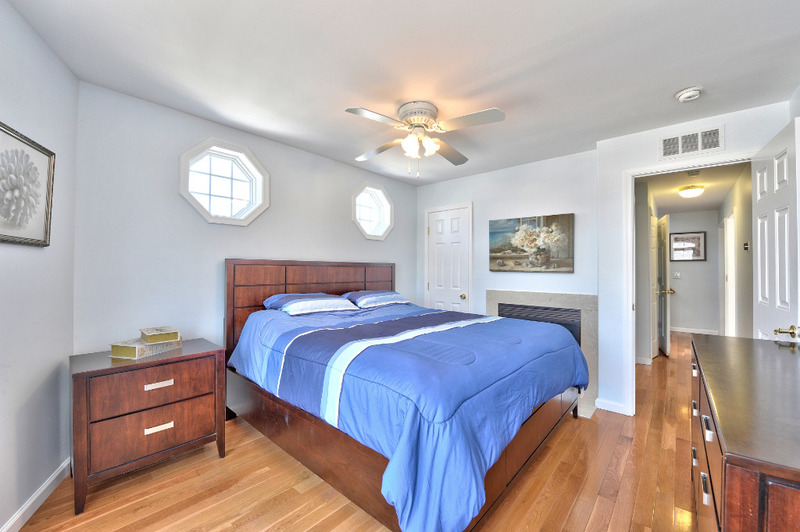 The facilities are well cared for, comfortable, close to the beach and walking distance to restaurants. 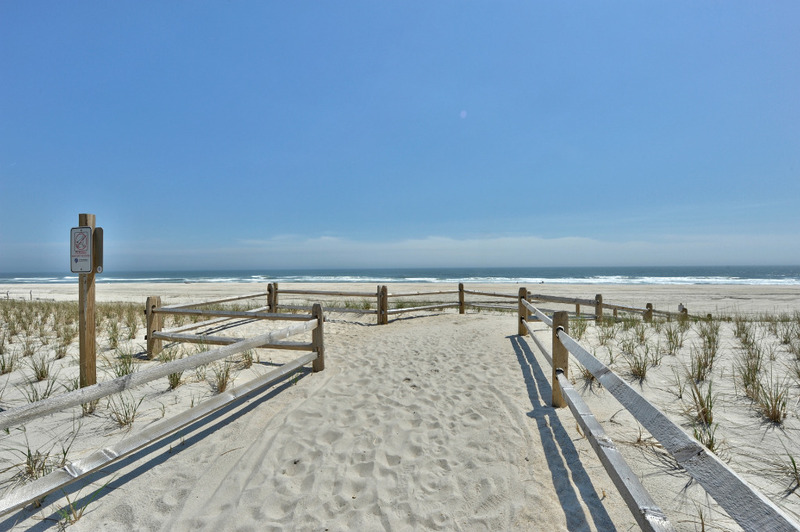 Everything you'd want from an LBI rental. This is the perfect house! It was paradise and I hated to leave. 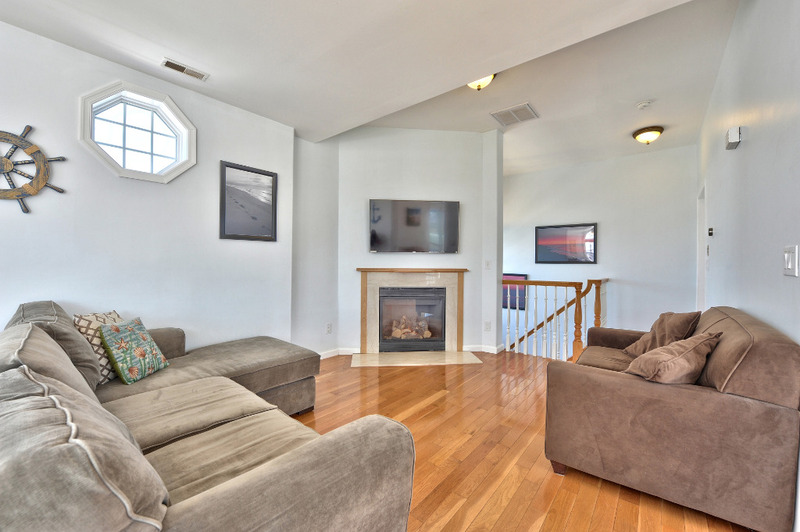 High ceilings, brand new with an elevator made it easy with little ones. There are three floors so there is plenty of room and privacy. Sun sets from the roof top decks were magnificent and shops and restaurants are all within walking distance. We will be back! We had three generations of our family stay for the week and there is so much room with outside decks (the roof deck is absolutely a great feature of the house and we spent many hours there) and living areas. 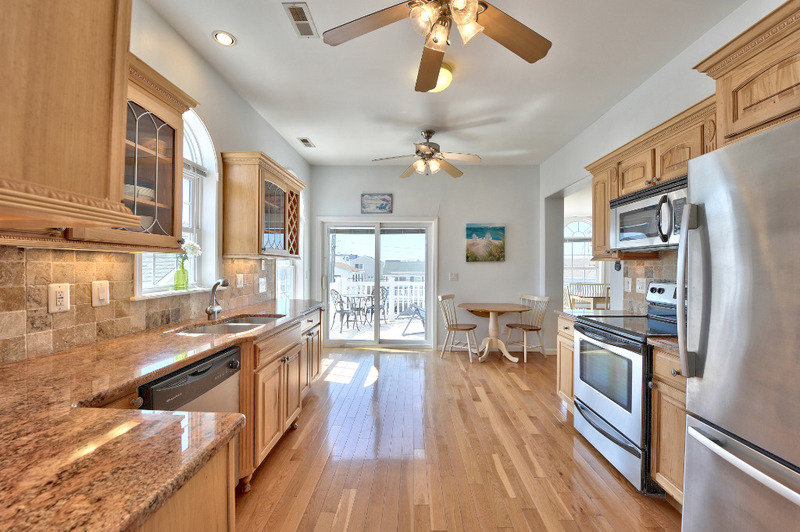 We have been coming to LBI for 30 years and this house is by far the best we have rented. The owner could not be more helpful but not intrusive. There wasn't anything in the house that we needed that wasn't there. Beach chairs, umbrellas and bikes were top notch. Oftenb what is supplied is broken down and barely useable. Much of what you will find in the house is of the same quality. There is even a elevator for those in need.The location is excellent with most everything you could need within walking distance-CVS, Wawa, restaruants, 5&10, gift shops, ice cream shops, miniature golf, bike rentals etc. Perfect location and a great house makes for a perfect vacation. And the beach has been restored and beautiful. I highly recommend this house to any family mix, young children or teenagers and grandparents. Wonderful stay! We enjoyed the convenience to the beach and causeway. Duane and Kathy were very accommodating and did everything they could to make our stay enjoyable! The elevator did stop working after a couple of days due to an emergency "automatic lock".. but it was the least of our worries! The place is clean, updated and charming. We loved the roof deck! Would absolutely recommend! Beautiful home just steps to the beach. Owner is very attentive and available to guests for any questions or issues. House is very clean and well maintained. Great location. Rooftop deck is awesome! Would definitely rent again! 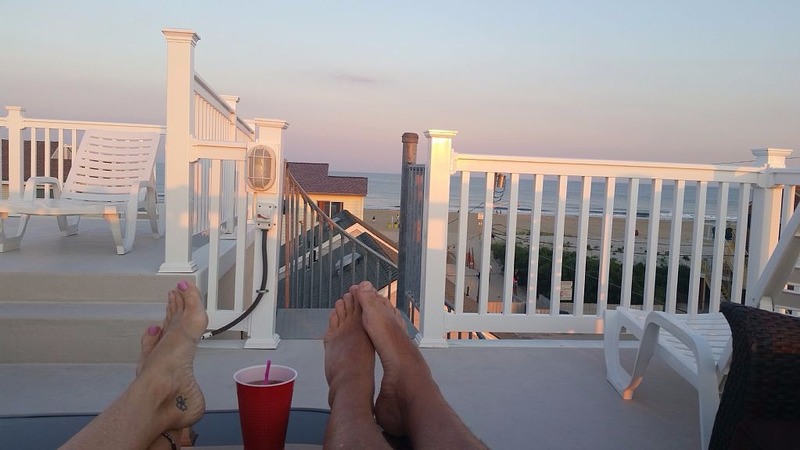 This was our first vacation with our baby- we wanted a house that was walking distance to the beach and close to restaurants, Shamrock By The Sea delivered! 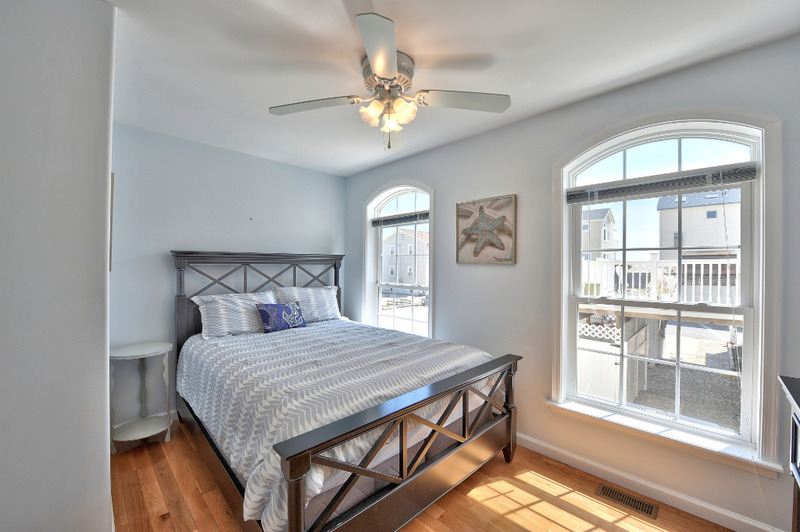 Perfect location, immaculately kept, heated pool and a rooftop deck! Our third year in a row staying here. The unit is has excellent accommodations. Three houses off the beach, around the corner from breakfast & lunch restaurants, a handful of blocks from dozens of food and service venues. The house is maintained in immaculate condition. The owners provide contact information for immediate concerns and post stay recommendations. We have already booked for next fall and added a week in the spring. This is a property where the owner is intricately involved with the week to week rental of the property, interested in your experience and ready to address any issue. You can not ask for more at the Jersey Shore. This was our first year staying at Shamrock by the Sea and we have already re-booked for Summer 2017! 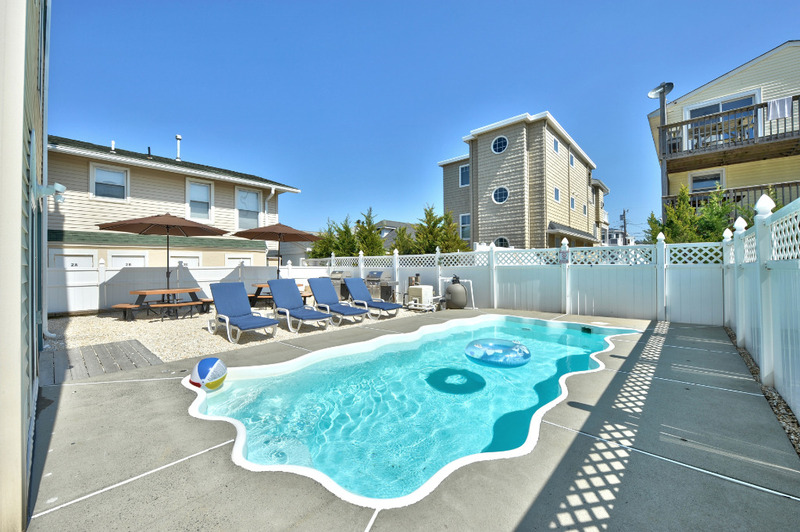 This truly is the best rental on LBI. It is clean and completely updated, steps from the beach with amazing beach views and a private pool. We have young children so a pool was key in our rental search and there really aren't that many places that offer that option that are so nice. Also, the location was perfect. It's within walking distance to several restaurants, ice cream shops, mini golf and an arcade. It was so nice to not have to drive anywhere if we didn't want to! The owner, Duane, checked in to make sure our trip was going well and if there was anything we needed. He is friendly and accessible which is great. The house is well equipped and even has beach chairs, an umbrella and boogie boards. We are already looking forward to next summer! Lovely home fourth from the beach; walk to everything! 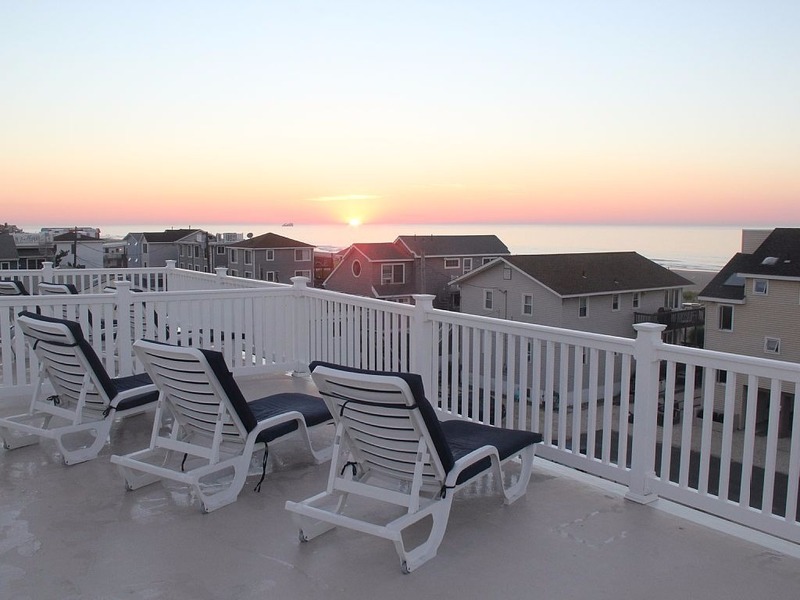 Spectacular Sunsets Directly Across From Bay Beach!